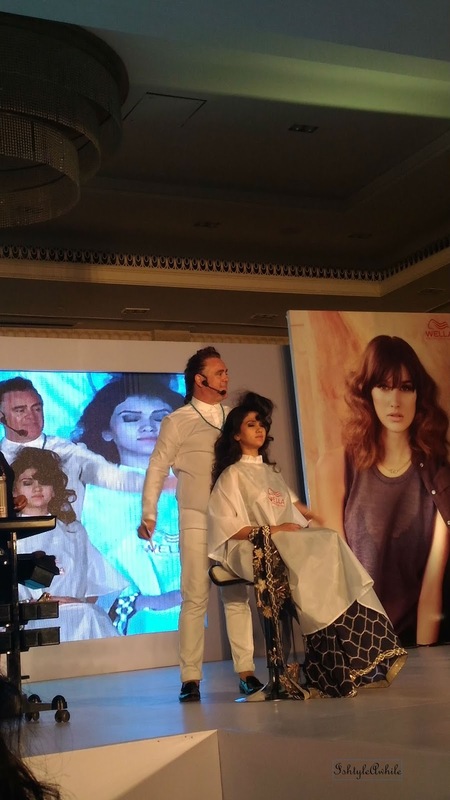 A couple of weeks ago I got invited for a Hair show by Wella Professionals. I was definitely intrigued because I had no idea what a hair show was. I have attended fashion shows in the past but I kind of didn't know what to expect from a hair show. Would it be models wearing different hair styles walking down the ramp? Would they do hairstyles on us? Curiosity and the fact that I truly love hairstyling is the reason I went for the show. 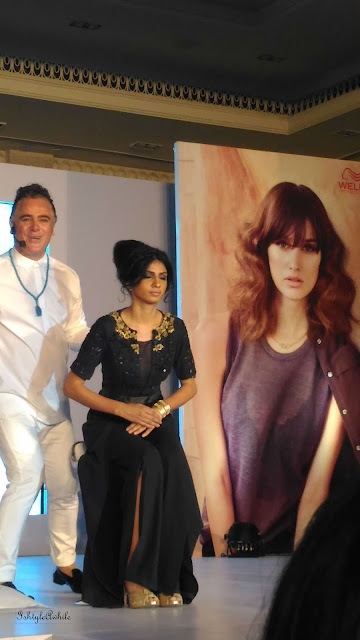 Patrick Cameron, the God of Long Hair, has been a part of Wella for well over 35 years. He believes in educating people about hair styling and how to do it right. This is exactly what was showcased on stage. 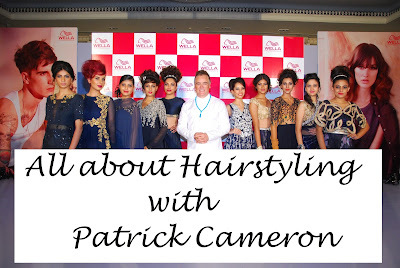 Patrick Cameron did a live demonstration of 10 hairstyles. 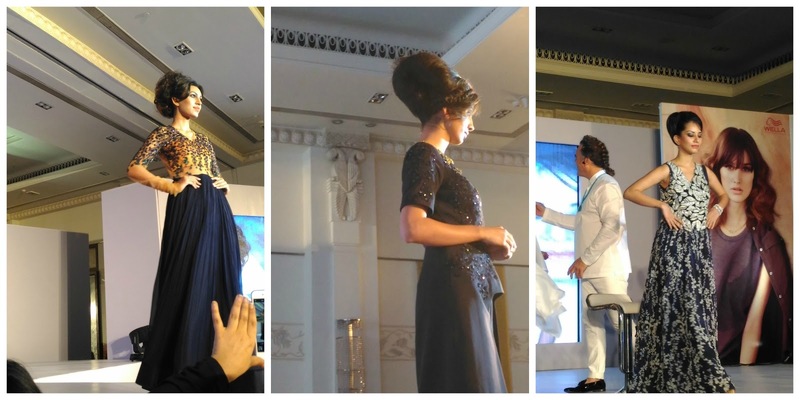 The hairstyles were inspired by the vintage age and there were a lot of bouffant type styles. 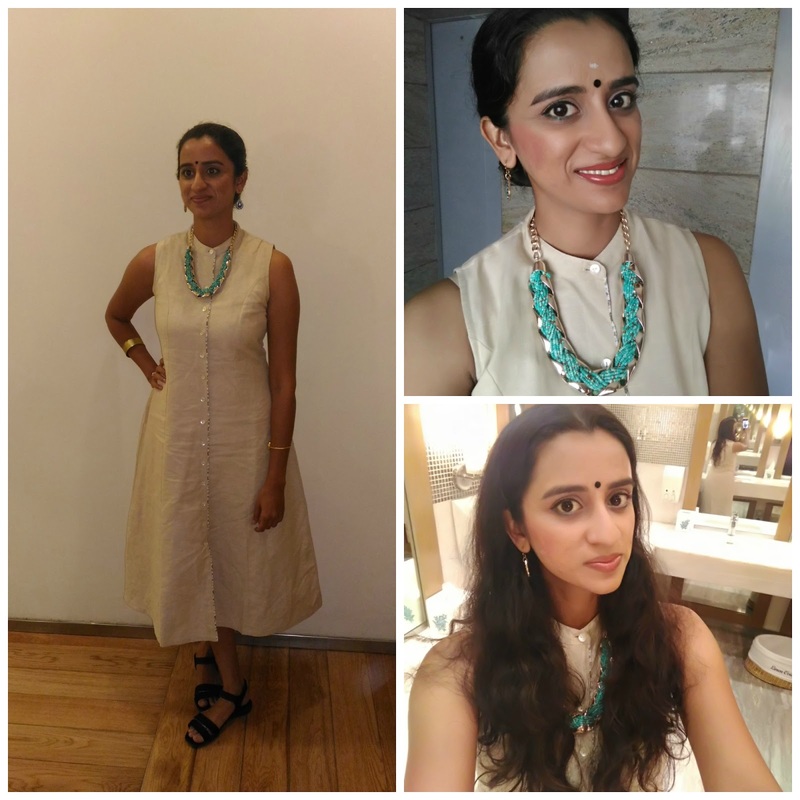 The twist on these retro styles was that they were a lot more relaxed to suit the modern day. Retro styles are usually slick back and smooth, but the Modern Vintage Collection by Patrick Cameron was a lot of texture, some amount of controlled chaos and tons of volume. All of the styles are meant for the brides and bridesmaids to be. This show could not have come at a better time to inspire me. The models were all wearing bridal attire and the hairstyles was chosen based on the outfit, and the type of hair that the model had. We got to watch Patrick Cameron literally create magic on stage. Each hairstyle must have taken about 6-8 minutes, maybe even less, with oodles of hair spray and so much back combing like there was no tomorrow. Magical is seriously the only word that comes to mind. He was super quick with the styles and I remember thinking, if only hairstylists could actually be this fast, then brides would not have to wake up at 3am to get their hair and makeup done for their wedding day. I was really impressed and have been contemplating trying some of those styles in a more wearable way for every day. The styles were really intricate and had some insane detail which he did with such ease and finesse. 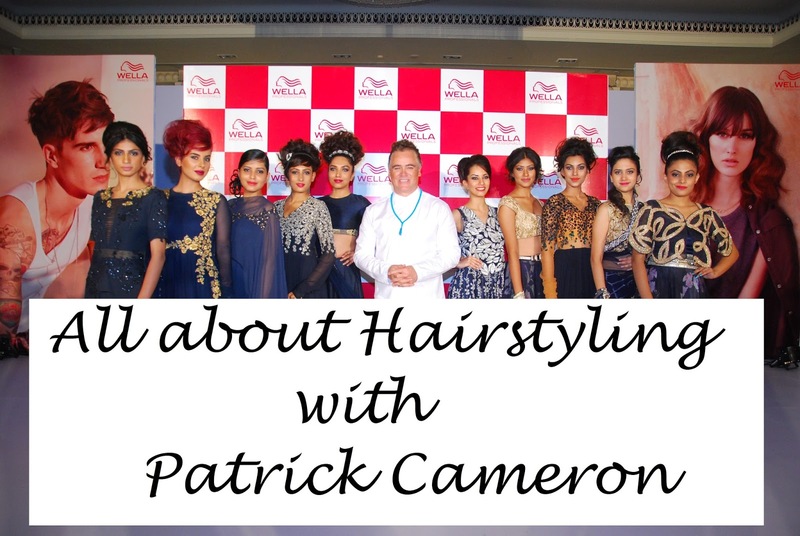 Patrick Cameron really has a very effervescent aura about him and his passion towards hair styling really shows in the beautiful delicate styles that he creates. 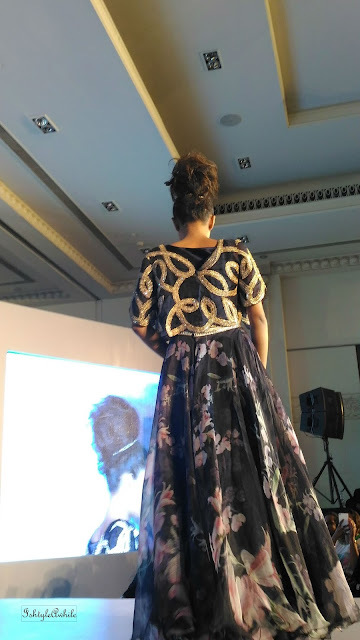 What I loved most was the small tips that he kept giving us along the way- how to backcomb effectively, how to create a small textured region so that hairpins would hold more easily on the head, what is the correct way to use the bobby pin. He also made some very astute observations about Indian Women and their hair. He said that we all have absolutely gorgeous hair but we are terrified of styling it well. He is right. I know that I love watching videos on doing different hairstyles but that chances of me trying it on myself is very slim. He also mentioned how we Indian women shy away from using styling products on ourselves. We are too worried that they will ruin our hair. However the truth is that a lot of hair styling products have ingredients in them that protect the hair as well. They are created to help with hair grooming especially serums, hair mousse and heat protection sprays. There was a lot that was learnt from that 2 hour session and a lot of inspiration that I gathered, I also got my hands on some styling products from Wella, so I guess is it a sign to actually try and style my hair differently. Ironically enough the day I went to the show I had just washed my hair and left it air dry. No styling at all. I guess he is right. We are scared of making our hair look better. Time to change that. What do you think? Disclaimer- All the pictures marked with '*' are not owned by me and I am not claiming to have taken them.